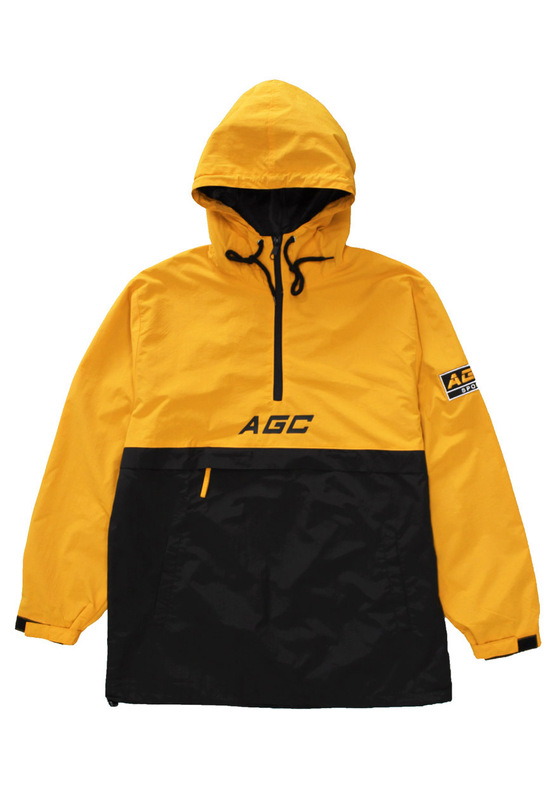 Agora AGC Pullover Windbreaker Jacket. Water resistant matte finished nylon shell with satin inside lining. Front pouch pocket and two side pockets. Patch on sleeve, with print on front.